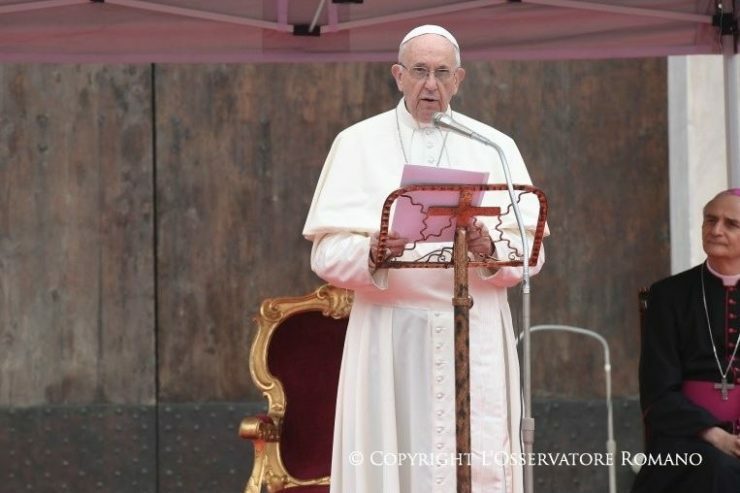 Pope Francis says we cannot underestimate the harms done to minors in this digital age and says we must take action. Francis stressed this while addressing this morning, Oct. 6, 2017, “Child Dignity in the Digital World,” the Congress organized by Rome’s Pontifical Gregorian University’s Center for the Protection of Minors, and held at the Gregorian, Oct. 3-6, 2017. Its objective is to highlight the dangers of the Internet and to foster action to protect children and young people. Children and adolescents make up over a quarter of the more than 3.2 billion Internet users worldwide, according to the Center. This generation of over 800 million young users is in danger of becoming victims of sextortion, sexting, cyberbullying and harassment. In his discourse, the Pope said he firmly supports the commitments the Congress participants have undertaken to help protect minors. Pope Francis also assured those present of the Catholic Church’s commitment and readiness to help. The first is to underestimate the harm done to minors by these phenomena. The difficulty of countering them can lead us to be tempted to say: “Really, the situation is not so bad as all that…” But the progress of neurobiology, psychology and psychiatry have brought to light the profound impact of violent and sexual images on the impressionable minds of children, the psychological problems that emerge as they grow older, the dependent behaviours and situations, and genuine enslavement that result from a steady diet of provocative or violent images. These problems will surely have a serious and life-long effect on today’s children.